A truely unique statement for your home, this set of 3 hexagon shelves also have a mirrored back making them intriguing and increadibly useful. Can be hung in whatever way you choose, hang them in groups or separately using the wall fixings and brackets provided. Each box is handmade in the UK by highly skilled craftsmen, to a very high standard. 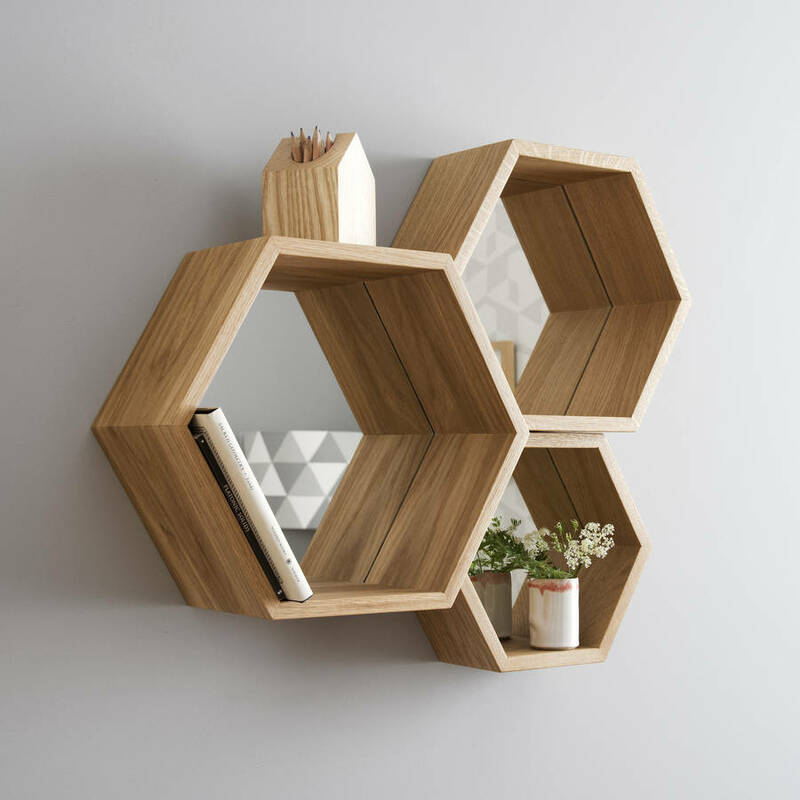 Solid european oak, each hexagon is made from one piece of wood, so the grain matches and wraps around the boxes. 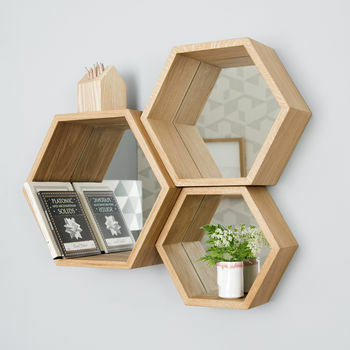 Largest hexagon 38cm wide and 32cm high 14cm deep, Medium 32 cm wide and 28cm high 12cm deep, Small is 28cm wide and 22cm high 10cm deep. This product is dispatched to you by James Design.